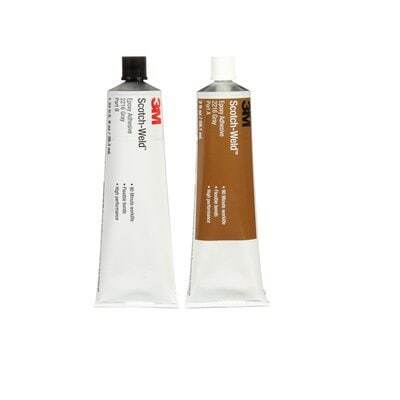 3M™ Scotch-Weld™ Epoxy Adhesive 2216 is a flexible, two-part epoxy adhesive. This kit contains 60 mL of part B and 60 mL of part A. 3M™ Scotch-Weld™ Epoxy Adhesive 2216 cures at room temperature and provides high strength bonds with exceptional performance in shear and peel. It can be used to bond rubber, metal, wood, most plastics and masory products. good environmental resistance.